Barclay’s Bank has released the latest update to Pingit with functionality that enables businesses to pay people using only their mobile phone numbers. Barclays Pingit is becoming a platform for the bank to offer mobile commerce services to businesses and consumers. This makes 14 releases since Pingit was launched in February 2012. The latest functionality allows businesses to pay individuals using their phone number instead of having to having their card details. Businesses can use Barclays’ existing File Gateway channel to quickly, easily and securely send electronic payments directly into an individual’s Barclays Pingit account, which is available to both Barclays and non-Barclays customers. This follows the announcement of two features aimed at businesses in September. These were Mobile Checkout that enables participating merchants to put a button on their mobile site, which links to Pingit, making it easy for customers to make purchases via their mobile. The other feature, known as Buy it, allows merchants to put a Quick Response (QR) code on adverts that consumers can scan with their phone and be taken straight into Pingit. The products can be ordered in a couple of clicks. CEGA, which supplies global claims and travel risk management, medical assistance and air ambulance services, are already using the service. The acceleration of Barclays Banks’ digital services has come at a cost. Last week the bank announced plans to cut 1,700 frontline jobs across the UK as more and more customers use technology to do their banking. A Barclays spokesperson said technology and automation of services was the reason for the job cuts. 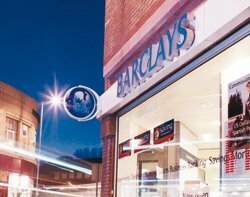 Barclays has 1,577 branches across the country and employs 33,600 staff. Separately the Barclays CIO that has driven the bank’s digital transformation, Shaygan Kheradpir, has left to become CEO at Juniper Networks. When Pingit was originally launched, Kheradpir told Computer Weekly it was the first in a series of mobile developments that will sit on a “mobile money platform.” A private cloud that will underpin the app as well as a raft of cloud-based mobile banking services that are set to follow. The private cloud means rather than using a website that sits on top of core IT infrastructure to enable mobile payments, the Pingit app plugs directly into it.